Students learn in a bunch of different ways; in fact, what is helpful for one student may be detrimental to another student. Unfortunately, our modern educational system is structured in such a way that it only supports one or two major learning styles. This approach means that writing is taught in a very rote manner; with students being told rules to follow, but not necessarily given additional information for how to follow them. 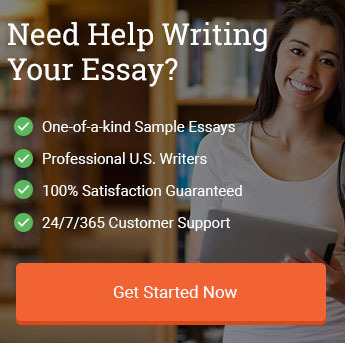 Furthermore, K-12 education focuses so intensely on expository writing that many students enter colleges and universities without having ever been asked to complete any other type of writing assignment, and, sometimes without ever having been exposed to any type of non-expository academic writing. The result is an entire generation of students with very little experience or exposure with the different types of academic writing necessary for higher-level academic success. While some colleges and universities have wonderful writing departments that are willing to work with students to achieve competency in these writing areas, others are frustrated by the lack of preparation and blame the students. For students who learn by example, our free essays examples are a fantastic way to bridge that knowledge gap. We have thousands of essays across hundreds of topic areas. By reading these essays, our customers can familiarize themselves with upper-level writing conventions and see how to properly apply them in an academic context. Rather than expecting students to extrapolate from the expository process to the more nuanced works required in college, our examples show students exactly what they need to do to complete a particular type of assignment. You can use these documents to brainstorm topics and titles, help you with the introduction or body, get ideas for an essay hook, or even find quality resources. We think that free essay examples are an invaluable resource for students and invite you to see how they can help improve your writing.